I was pleased to finally catch the latest film from Aki Kaurismäki in cinemas. I knew I would like it and indeed I spent 100 joyful minutes in the splendid Hebden Bridge Picture House relishing every moment. Looking back I see that I spelt out Kaurismäki’s unique approach in detail in relation to Le Havre (2011). Nothing has changed. The Other Side of Hope returns us to Helsinki and the docks where a man emerges from a pile of coal in the hold of a ship and walks purposefully into the city. This is Khaled (Sherwan Haji), a young Syrian who has made his way across Europe, but who has lost his sister at a border crossing in Serbia. Running in parallel is a second story about a Finnish man who leaves his wedding ring with a woman (is this his wife?) and climbs into his 1950s American-style car for his rounds as a shirt salesman. We know very well that these two men will meet and that there will be bouts of live music from a variety of performers plus some strange encounters with officialdom, retail staff and others – everything shot in the lighting and colour palettes of 1950s cinema – although this time I also thought about the exquisite production design and mise en scène of Roy Andersson with its more drab palette but similar flat feel. The sushi restaurant crew . . . I don’t know quite why Kaurismäki’s films work quite so well but much of the appeal is the inherent ‘goodness’ of the characters, even when they behave ‘badly’. Khaled is a young man, but the shirt salesman Wikström is just into his 60s. 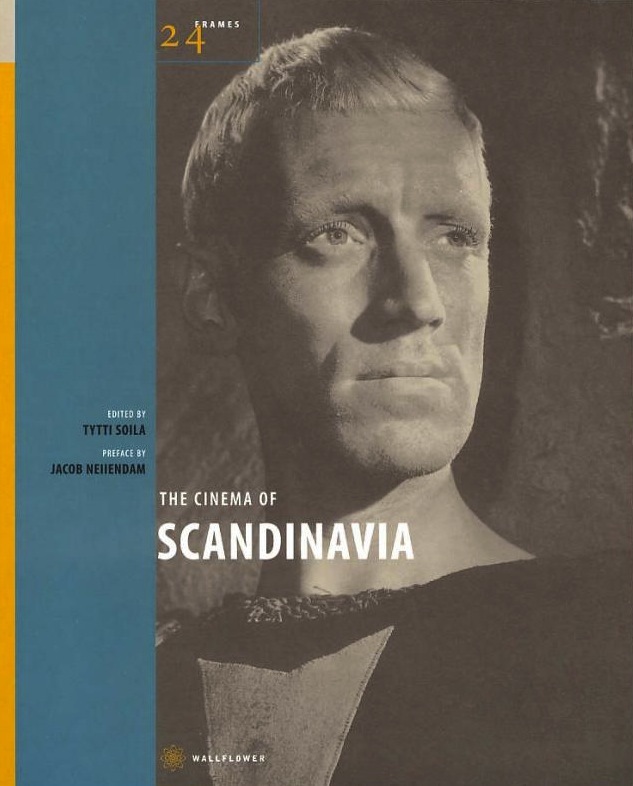 Like many of the older characters, Wikström is not movie star handsome but he is allowed to be smart (but not too smart) in the way he organises things. He eventually leaves his job, wins some money and buys a run-down restaurant business. Some of the funniest scenes are those showing his attempts to ‘re-brand’ the business, including as a sushi restaurant. 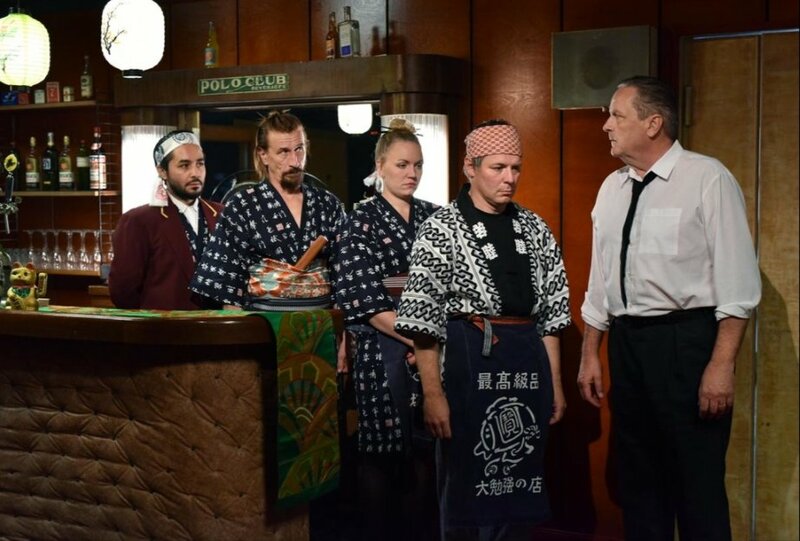 Here Kaurismäki gently mocks the idea of appropriating cultural identities. Kaurismäki’s characters fall neatly into three types. The villains are simply villainous (here mainly defined as racist thugs). The officials are efficient (without being super-efficient) and apply the rules of the system fairly. ‘Ordinary’ people (less important officials, workers and Kaurismäki’s usual group of marginal people living rough) are usually helpful to the Khaleds of this world, recognising the need for working-class solidarity. If only real life was like this. Yet Kaurismäki is right to think that by presenting his absurdist images of a tolerant, accepting host country, he is performing a service for audiences in countries like the UK where a handful of Syrian refugees seems like the limit (but I’m proud to live in one of the cities that has taken a significant number). In a Guardian interview he refers to the ‘shame’ of Europe’s response to the refugee crisis, noting how Brexit will make things worse (too right). But he seems tired of making films and trying to keep up with changing technologies. I hope he gets over this and makes many more films that raise spirits. I wish he felt he could make a film in the UK. We certainly need his talents and humanist commitment. The Leeds International Festival Catalogue describes this as an ‘essay film, rather than a documentary. This places the film in that cinematic discourse best represented by the masterworks of Chris Marker. Like those it offers a studied ambiguity that can and should stimulate the viewer’s thoughts as well as their emotions. It combines recently discovered archive footage covering wars of decolonisation in Africa from the 1960s through to the 1990s accompanied by quotation from Franz Fanon’s seminal work, The Wretched of the Earth. What follows is a short response to a complex film and I plan to return with a longer engagement on the Third Cinema Revisited Blog. The film is divided into ‘Nine scenes from the anti-imperialist self-defence’. In the course of the film we see many sequences of the white settlers in various occupied territories, mainly lording it over the oppressed and exploited black natives. We also see various conflicts between National Liberation Movements and the colonial armies. There is extensive coverage of the struggles in what has become Angola. Mozambique and Zimbabwe. Each sequence also presents quotations from the Fanon’s book. This provides comment, analysis and ironic counterpoint to the comments of the white settlers, the colonial military, and the predominantly western journalist covering events. There are also extensive interviews with and comments by black natives, including those involved in the armed struggle. Refreshingly there is much screen space given to women, both as part of the exploited indigenous people but also as participants in the armed struggle. Notably we also hear readings from the writings of Amilcar Cabral [Guinea Bissau] and an interview with Tomas Sankara [Burkino Faso]. There is also an interview with Robert Mugabe from the early days after the ZANU-PF victory. Whilst there are many male voices on the soundtrack the frequent quotations are read by an Afro-American woman, Lauryn Hill. 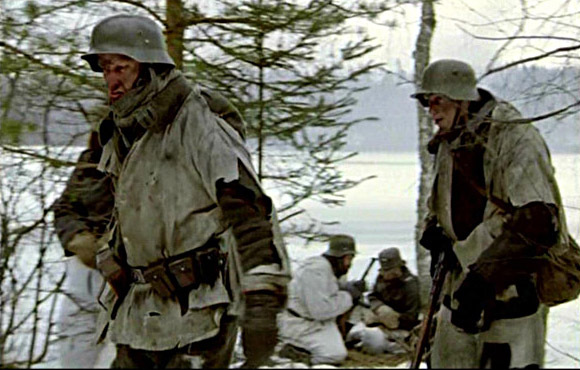 Most of the footage was shot in 1.37:1, some in colour, and some in black and white. But the opening and closing sequences are in 1.85:1 and the footage in the older ratio is on a DCP, letter-boxed within this frame. There is also extensive use of music, both diegetic and non-diegetic. Unfortunately, [as in common in foreign language documentary] the songs are generally not translated in subtitles. There are a number of scenes of violence and horrific wounds: also of colonial atrocities. When you see these films today you are struck by how biased they were, and how the filmmakers were totally lost in their political views. The use of older archive material reveals perspectives and prejudices that are clear, enabling viewers to see beyond them. I was impressed by the film. The selection of material, and especially the way that it is edited into a coherent and very effective arguments is finely done. It works well both as a film and as propaganda [expressing complex ideas supporting the movement]. One caveat that I had was that the film has added an introduction by Gayatri Chakravorty Spivak, a writer regularly included in anthologies of ‘post-colonial’ writings: [neo-colonial would be more accurate]. She places the work of Franz Fanon with a short biopic of his life and work. She correctly rejects the notion that he popularised support for violence: the colonized must, of necessity, use violence because of ‘the absolute non-response‘ of the colonisers. In an under-developed country every effort is made to mobilize men and women as quickly as possible; it must guard against the danger of perpetuating feudal tradition which holds sacred the superiority of the masculine element over the feminine. Women will have exactly the same place as men, not in the clauses of the constitution but in the life of every day: in the factory, at school and in the parliament. And both images and quotations undercut the values expanded by the colonialists. I think Spivak also overlooks the centrality of class in Fanon’s work. But this seems to me something that is at least underdeveloped in the film, especially in the Conclusion where we hear Fanon’s maxims for the future of the anti-colonial, anti-imperialist revolution. Fanon writes about the class forces in play after the end of direct occupation: a quotation from these comments would have made sense of the situation of Mugabe and Zimbabwe. The quotations from Fanon are brief, mainly single sentences. Some the context of his position is often lost. This is the case when the film makes the point that the colonised black people use violence against their own: but Fanon is writing about the situation of the native under colonialism and before the development of an anti-colonial consciousness. One hopes that the film will stimulate viewers to read Fanon’s book – though I fear many may believe they have been provided with a sufficient grasp of his thought. The film’s title and focus is on one aspect of Fanon’s book, violence: this is where The Wretched of the Earth commences, but it goes a long way beyond this. Even so this is a film that is unlikely to leave you unmoved and should certainly stimulate you. The audience at the Hyde Park Picture House showed their response with applause at the film’s end. This is definitely a film to see. It is getting a UK distribution [probably limited] by Dogwoof. I hoped to see it again, and did, [see http://thirdcinema.wordpress.com/2014/12/16/concerning-violence-with-a-q-a/]. Le Havre is the third of a trio of top films at Cannes in 2011 to arrive in the UK over the last couple of months – or perhaps the fourth if you include This Is Not a Film alongside Once Upon a Time in Anatolia and The Kid with a Bike. It’s annoying that we have to wait so long – and that we have to sit through months of Hollywood ‘awards’ films before we get to the good stuff. Some of us would cheer a distributor who brought out films like these in January/February. Aki Kaurismäki is an unusual filmmaker. A Finn now domiciled in Portugal, here he turns up with a film set in the major French port of Le Havre and funded by French and German film and TV companies plus Finnish public investment. Kaurismäki has made a film in French before but this one appears to be the first of a new trilogy he hopes to make in various European ports. I’m something of a newcomer to his films but the two I have seen have shared a number of elements that I understand are quite common across his work. His films tend to feature working-class communities and dockside is a familiar destination. These are genuine ‘communities’ in which people look out for each other and especially when some official policy initiative threatens someone in the community. 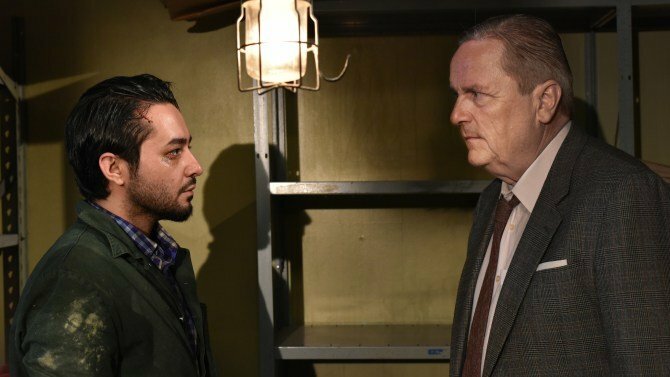 Kaurismäki prefers to create an imaginary world that is presented as if it were in a 1950s/60s/70s movie. So, not only do the cars, clothes, music etc. signal ‘pastness’ but also the use of studio sets alongside selected locations – and the sets are photographed according to the lighting and camera conventions of that period. The music too must fit this time period. The overall effect is a warm humanism cut with dry wit. Kaurismäki is himself a cinephile and there are numerous references to other auteur filmmakers, some directly but others in more diffuse ways. In Le Havre the central character is Marcel Marx who lives with his wife Arletty and his dog Laika. Max somehow survives as a shoeshine man (since in this world, men still have leather shoes). 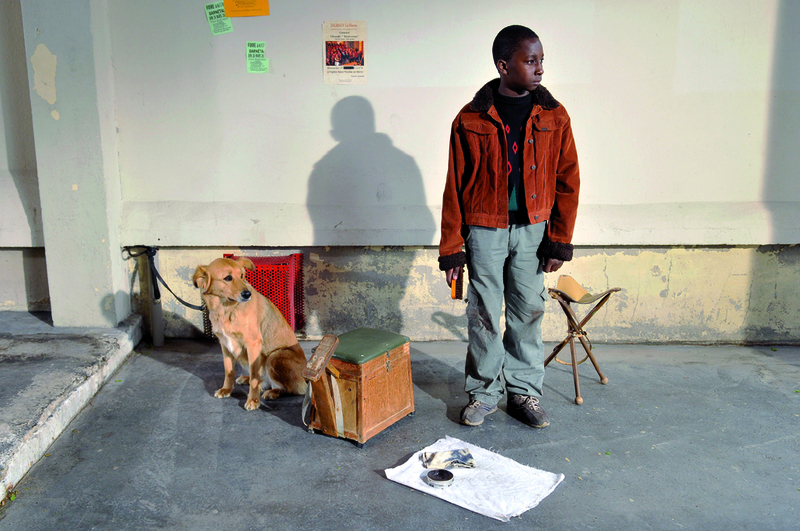 Max befriends a young boy from Gabon who is hanging around the docks after the immigration police raid the shipping container in which he and a large group of ‘illegals’ have made the trip to France. The narrative then involves the attempt to get the boy to London to join his mother. In this Max calls on the whole local community of shopkeepers, bar-owners and local workers. In the meantime, Arletty has been taken to hospital with stomach pains. 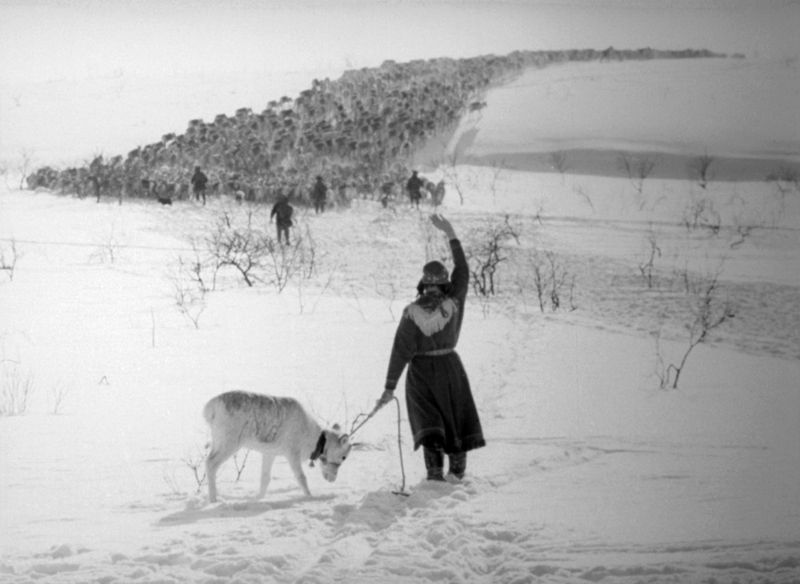 The film looks wonderful (thanks to Kaurismäki’s long-time collaborator Timo Salminen). The look invokes several of my favourite directors. At one point it feels like a Truffaut film – and then up pops Jean-Pierre Léaud. There is also a beautiful shot of a tree in blossom that could be from Ozu. But the strongest connections are to the ‘poetic realist’ films of late 1930s French cinema, signified by the name Arletty and the location. Coincidentally, the BFI have just released a restored version of Le quai des brumes in which Jean Gabin is a soldier hoping to create a new life abroad after he migrates from Le Havre – but he becomes embroiled in a local dispute when he tries to save a young woman. Kaurismäki confirms the links to such films by playing various chansons on the soundtrack. One other reference that has been picked up is to the films noirs of Jean-Pierre Melville in which there are often distinct relationships between the dogged police detective and the romantic anti-hero. In Kaurismäki’s film Marcel has several crucial encounters with Inspector Monet. 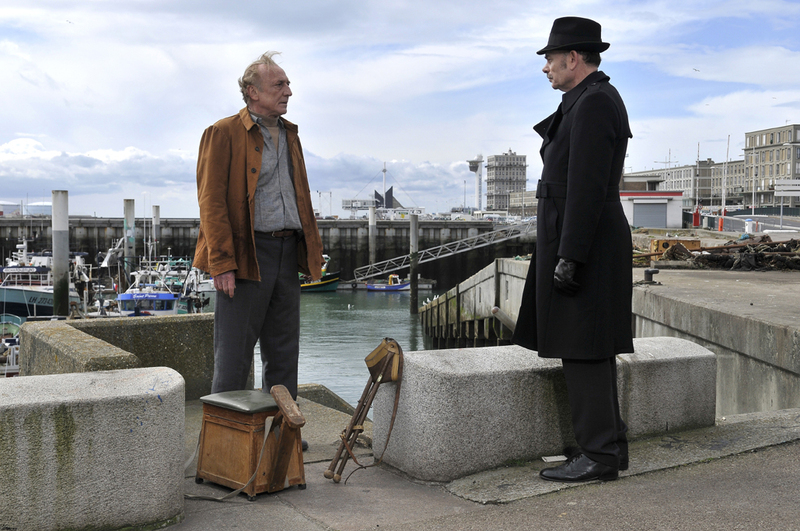 Le Havre is the perfect length and if, as a viewer, you allow yourself to be taken into this imagined world you should spend a relaxing and heart-warming 93 mins. I’ve seen the complaint that the boy is too appealing and that the theme is somehow too ‘politically correct’, but I’m impressed by the director’s firm control over his material and I had no problems whatsoever with the film’s approach. Here’s a trailer with the song ‘Matelot’ by The Renegades.